We would be sad to see you go! 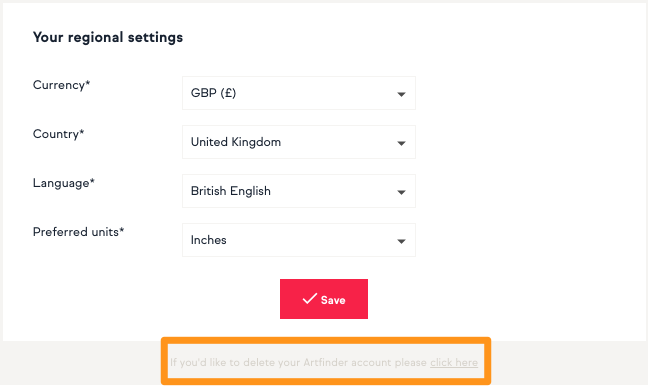 If you ever wish to close your Artfinder account, hover over the ‘person’ icon in the top right hand corner of the screen and select ‘Account Settings’ in the dropdown menu. Scroll to the very bottom of the page and hit the button that says "If you'd like to delete your Artfinder account please click here". If you would like to reopen your account, please contact us and we would be more than happy to welcome you back on Artfinder!